Phase II of the centre will be commissioned by Chief Minister Pinarayi Vijayan on July 4. The sculpture will be placed in 65 acres of land. The Chief Minister will launch Jatayu, arguably the world’s largest bird sculpture, a state-of-the-art cable car service imported from Switzerland, an adventure park and a helicopter local flying service. 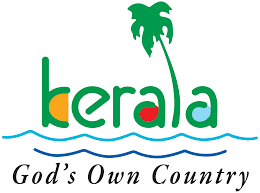 Jatayupara would be marketed by Kerala Tourism as its new tourism product in international fairs and festivals, as said by the state Tourism Minister Kadakampally Surendran. The largest bird sculpture of the world, which is 200-ft-long, 150-ft-wide, 70-ft-tall and with an area of 15,000 sq. ft. of the mythical bird Jatayu, developed by filmmaker Rajiv Anchal, could be accessed by state-of-the-art cable car service or by foot. Travelling to a thousand feet height in cable car will definitely provide a mind-blowing experience for the tourists. Local flying by helicopter will be an added attraction. A helipad and ancillary facilities for two helicopters has been set up in Jatayupara and the DGCA nod has been obtained for this. Art performances would also be performed near the sculpture to present the place as a cultural hub. The museum and 6D theatre inside the bird sculpture, as part of phase III, will begin in November this year itself. Mr. Rajiv said Ayurveda-Siddha centre, to be housed inside the natural caves cushioned between the rocks, would also be available from November. The ticket charges would be Rs. 400, including Rs. 250 for cable car service and Rs. 150 for entry. A sum of Rs. 2,500 will be charged for those using the adventure park.